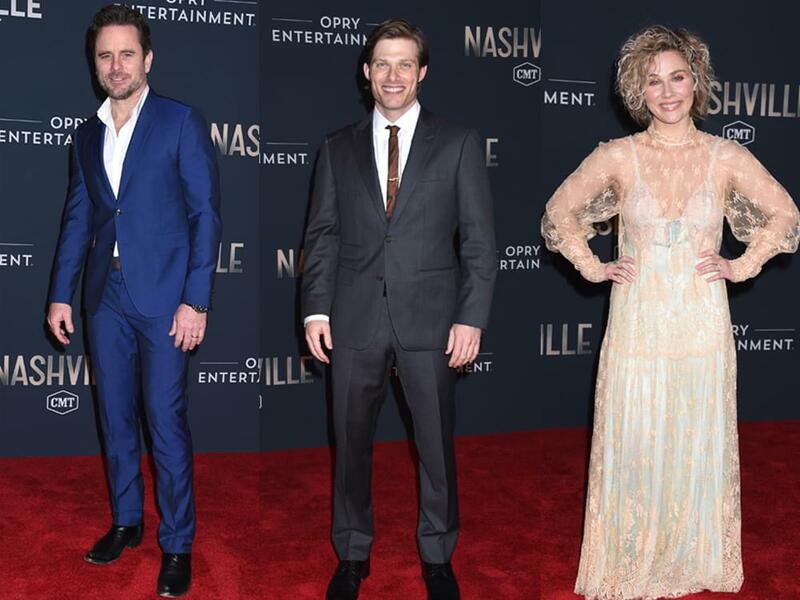 Stars of CMT’s Nashville celebrated their final season with a farewell concert in their show’s namesake city on March 25 at the Grand Ole Opry House. Nashville in Concert: Final Season Celebration featured cast members Charles Esten, Clare Bowen, Chris Carmack, Jonathan Jackson, Sam Palladio, Lennon Stella, Maisy Stella, Rainee Blake, Kaitlin Doubleday, Jake Etheridge and Nic Luken showing off their singing chops on the Opry stage. Following a six-season run, Nashville will wrap filming its final episode in the coming weeks. Clare Bowen, Chris Carmack, Charles Esten, Jonathan Jackson and Sam Palladio will head to the UK and Ireland in April to perform eight shows on the farewell tour. Take a look at our red carpet photo gallery—courtesy of photographer Tammie Arroyo—from the cast’s farewell show at the Opry.